PENANG – Korean pop sensation Psy danced right into the middle of Malaysia’s increasingly fractious politics today, following the prime minister on to the stage at a government-held Chinese New Year celebration in opposition stronghold Penang. Psy’s two renditions of his hit “Gangnam Style” were the highlight of a scorching morning in the west coast city, where Malaysia’s governing coalition, known as the National Front, made a local and youth vote pitch ahead of elections expected to be the closest-fought in Malaysia’s history. 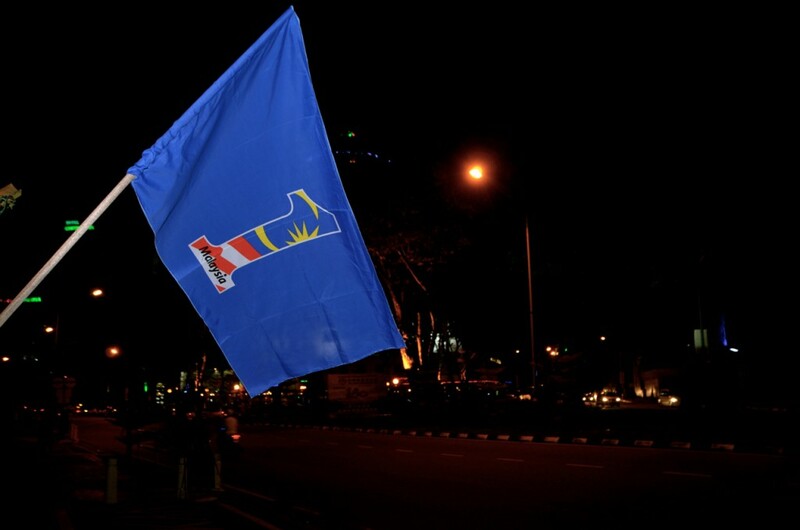 The National Front, known by its Malay acronym BN, has run Malaysia since independence in 1957. But the stakes are high with 30 percent of Malaysia’s 13 million voters due to cast their ballots for the first time in this election, slated to be announced by the end of April. But Psy’s appearance at today’s event seems unlikely to sway these younger voters one way or another. “It will be seen as publicity stunt,” says Professor Chin. Indeed, Malaysia’s Prime Minister Najib Razak pledged 20,000 new houses and a new monorail system for Penang just before Psy came out on stage. He ended his address by asking “Are you ready for Psy?” And was met with a sea of enthusiastic cheers. 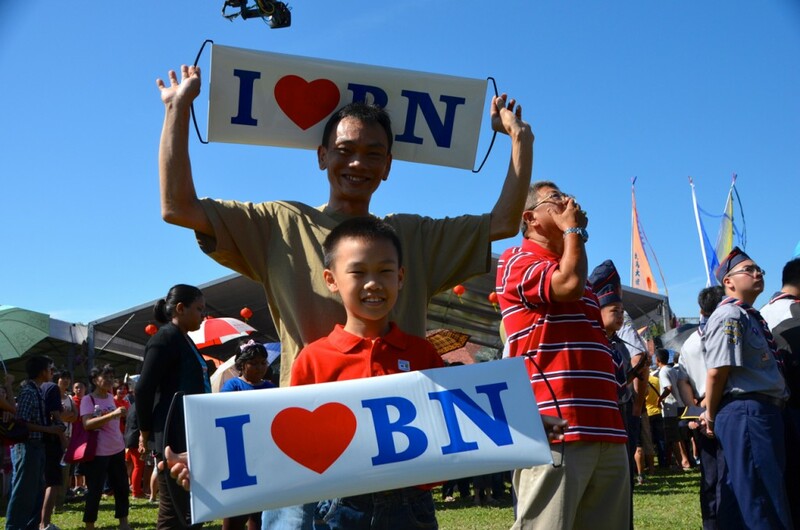 When he then asked “Are you ready for BN?” it was met by a less enthusiastic response from some sections of the crowd. Everyone was here for Psy, not for politics,” says Chang Myn-Kit, who works in Singapore, but made his way back to Penang to be with family for the Chinese New Year. Some government supporters in the crowd made their voices heard, however. “I’m here for Psy and for Najib,” says Eddie Lau, waving an “I Love BN” banner. *Penang is Malaysia’s second biggest city and capital of a state of the same name, the only state in Malaysia with a Chinese-Malaysian majority. Penang’s regional administration is opposition-controlled and a majority of Chinese-Malaysians across the country are expected to support the opposition Democratic Action Party (DAP) in the forthcoming election. Chinese-Malaysians, who are mostly descendants of migrant workers who immigrated to Malaysia while the country was under British control, make up 25 percent of the country’s 29 million population. Recent surveys show Malaysia’s Chinese – who, like young first-time voters, are described by analysts as possible “kingmakers” in the coming election – to be disenchanted with the current government. According to research conducted by the independent Malaysian opinion research firm The Merdeka Center in 2012, only 16 percent of Chinese-Malaysians think Malaysia is “going in the right direction.” That’s far lower than the 70 percent of majority Malays, who make up 60 percent of the country’s population, who believe the country is on the right path. Coming back on stage for an encore, the white-clad Korean exhorted the crowd to dance, jesting that they were too preoccupied by taking photos of him the first time around. ‘Don’t take any more pics: This time just dance!” he yelled.